Before you get going however, make sure you are well prepared. A hiking backpack with a hip belt so you are not carrying all of the weight in your shoulders. Plus, it provides a place to carry your gear. Water is a must! So are snacks like trail mix, granola bars, fresh fruit, and protein bars. Insect repellant if you are prone to bug bites. Hiking boots are arguably the most important piece of hiking equipment. You need well-fitting boots that can take on the terrain and keep your feet dry and secure. Layer your clothing with light pieces that can easily be removed when it’s hot, put back on when it’s cold, or stored in your pack. BEST HIKES IN THE U.S. The Ramona Falls Hike is a seven-mile loop, round trip. Though the hike is described as “moderate,” it is not necessarily recommended for families because of the bridge crossing the Sandy River. The beautiful hike is a Mount Hood favorite, however. People love the relatively easy- to-navigate trail, the short distance out of Portland, and of course, the gorgeous Ramona Falls. The gorgeous Mount Finlayson Trail is one of the best hikes in Washington State. The trail is nearly four-miles round trip and offers gorgeous views of the Strait of Juan de Fuca, the Olympic Mountains, the the beautiful Puget Sound. There are plenty of trail heads and paths to take along the hike, so have fun exploring! The Oyster Dome hike is a nearly seven-mile hike, round trip, though the whole time you will be eager to get to the top. From the top, Oyster Dome is one of the most gorgeous views in the world. Enjoy both the Lummi and Orcas Islands from afar and the beautiful Samish Bay below. The hike can be family friendly, but watch out for the very unforgiving ledges. The Mount Morrison Hike, located behind the Red Rocks Amphitheater in Morrison, is the perfect hike for those who are sick of their typical workout. The Morrison trail to the top gains 1,400 vertical feet within a half of a mile — so be prepared! From the top, you will fall in love with the perfect view of Denver. 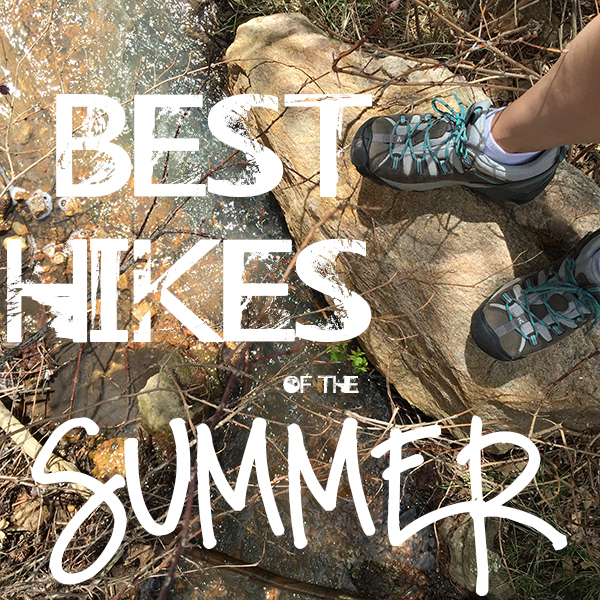 The hike is not easy, so prepare yourself accordingly. Drive a little further west to the back side for Mount Falcon, which offers three hikes that suit varied levels of skill. This view opens up to Pikes Peak in the south, Mount Evans to the west, and Longs Peak to the north. Pack a lunch and take in the many picturesque picnic spots. The Manitou Incline, often referred to as purely “The Incline,” is a popular, but difficult hiking trail just outside of Colorado Springs. For hikers that have been at their craft for awhile, The Incline is the perfect challenge. The hike has elevation gains of 2,000 feet in less than one mile, as it used to be a ski lift. Get your hiking gear (lungs and legs) ready for this beast. There’s even a T-shirt in local gift shops for those who conquer the hike! Immerse yourself in the incredible landmark that calls Boulder, Colorado home. The Flat Irons, five peaks rising from the north to south, includes a few trail heads, including a .9 mile loop and a 3.3 mile loops, all tucked in the dense Ponderosa pines. This is a family-friendly place to hike, and is even noted to be popular amongst those in wheelchairs. Though Kansas may not strike you as a big hiking state, there are quite a few surprising places to get your boots dirty on the plains. The Chautauqua Hills trail system offers more than one hike to adventurous outdoors lovers. Enjoy exploring the trail system, full of blackjack oak and beautiful wildlife sightings. Thirty miles? Sure, no problem. On the Appalachian Trail in Maine, hikers will enjoy the most beautiful features in the state. The hike can be rough and rugged, but the grace of the natural environment makes it all worthwhile. Enjoy the Lower Wilson falls, a network of rivers, and a true taste of Maine’s heart and soul. Mt. Tammany’s main loop is barely four miles long, but birdwatchers will appreciate it the most. The eagle-watching top of the hike provides beautiful insight into unassuming New Jersey’s wildlife. The hike is considered easy, though the slope is steep enough to satisfy the toughest of hikers. This beautiful six-mile trail branches from Brasstown Bald to Blairsville, Georgia. The trail is considered moderate, though there are paths to make it even more difficult. Regardless of the path you choose, you are sure to enjoy the beautiful mountain views, wildflowers, and archaeological history of the location. The very family friendly Boca Ciega Millennium Park is actually a stunning boardwalk that broadcasts the most colorful parts of Florida’s natural habitat. The “hike” is perfect for families, dogs, and people who are looking for a more casual excursion into nature. No matter which part of the country you reside in, get out and enjoy getting to know your land! Happy hiking! Jessica Tholmer is a Pacific Northwest-loving young lady with an obsessive personality. She loves, to the extreme, rap music, the movie Titanic, red wine, Friends, her real friends, The Simpsons, her brothers, eating healthy with a side of ice cream, her charming boyfriend, and crying at commercials.